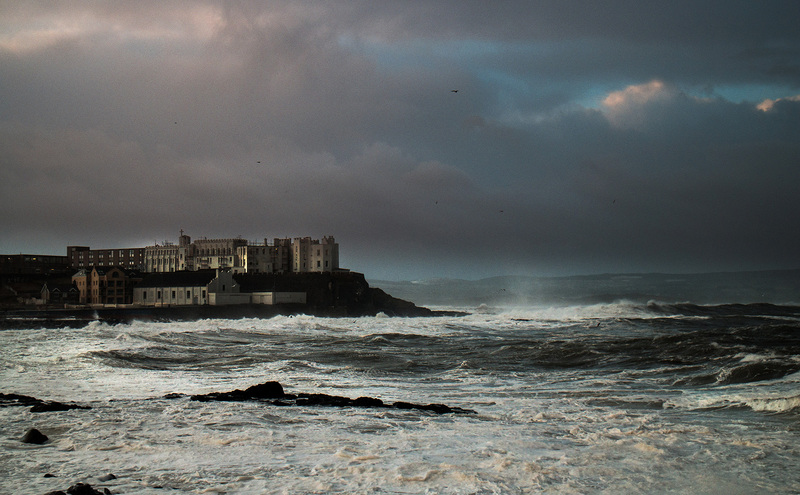 Portstewart – Chris Roberts, photographer. Photo a day, or more, but usually a lot less..
Members of the Causeway Archers prepare to fire arrows at a beacon on the Harbour Hill, Portstewart, lighting it to mark the 90th birthday of Queen Elizabeth II. 17/3/2015 Kilrea, N.Ireland. 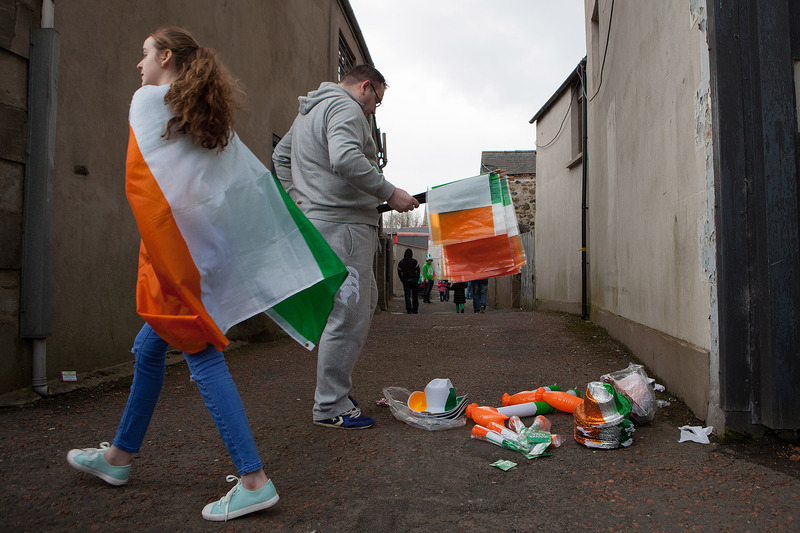 A man sells a selection of Irish themed goods during the St Patricks Day celebrations in Kilrea, Co. L’Derry, N.Ireland. 17/3/2015 Portstewart, N.Ireland. 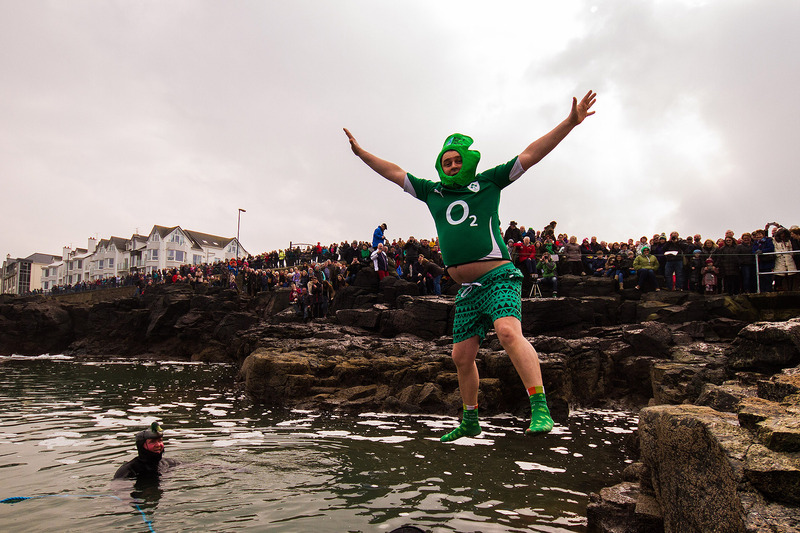 The annual St Patricks Day ‘Duck Dive’ has taken place at the Herring Pond, Portstewart, N.Ireland, with crowds lining the shore to watch fundraisers leap into the Atlantic, raising money for the RNLI. 17/3/2015 Portstewart, N.Ireland. 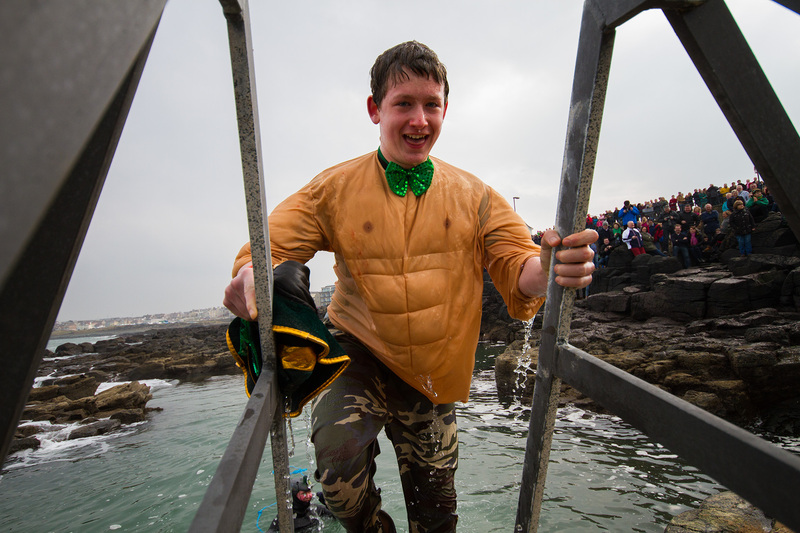 A young man climbs out of the Herring Pond in Portstewart, N.Ireland, after taking part in the annual ‘duck dive’ event, raising money for the Portrush LIfeboat. Never the same two days in a row. Dominican School, Portstewart. Beautiful afternoon in Portstewart today. The tail end of a tropical storm was passing by, and the ocean was in mountains. I liked the sky though, so concentrated on that instead. 9/7/14 Portstewart, N.Ireland. Young people gather at the harbour in Portstewart enjoying the seasonal weather, cooling off by jumping into the sea. Got a new phone yesterday, a Galaxy Note 3, so of course had to have a play with the camera! Heres a few snaps from a walk on the beach at Portstewart Strand, and a stop off by the river on the way home to Aghadowey. Dominican School, Portstewart, in the Wednesday morning sunshine. A day for listening to the wind and watching the waves.